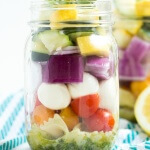 Lemon Basil Vegetable Pasta Salad in a Jar with six layers of flavors including pasta, tomatoes, mozzarella cheese, red onion, zucchini and squash and a fresh lemon basil dressing! Spring and early summer are my favorite times of the year at the farmer’s market. All of the fresh seasonal produce with bright colors and flavors are available. This weekend, I purchased some of the best cucumbers I’ve ever tasted and that were harvested at a local farm. I’m already planning to go back next weekend and buy as many as I think I can possibly eat during the week. Zucchini, squash, basil and tomatoes are already available here in Florida too. With all of the fresh seasonal produce, I created a fun lemon basil vegetable pasta salad in a jar. The lemon basil dressing couldn’t be any easier. Combine freshly squeezed lemon juice with fresh basil, olive oil and garlic. The ingredients are then layered in a mason jar, starting with the dressing on the bottom. The best thing about this salad is that you can substitute another vegetable, if desired. 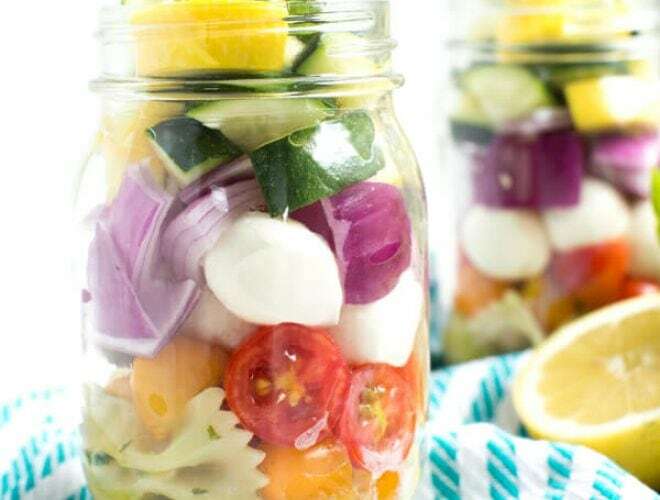 Make these mason jars in advance and enjoy them for lunch throughout the week. Both kids and adults will love the fresh flavors. With summer right around the corner, this lemon basil vegetable pasta salad is a great addition to picnics, dinner parties and more. 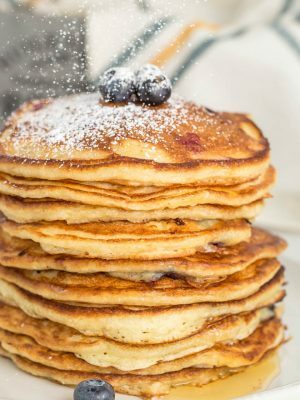 They are a great lunch option for kids and adults! 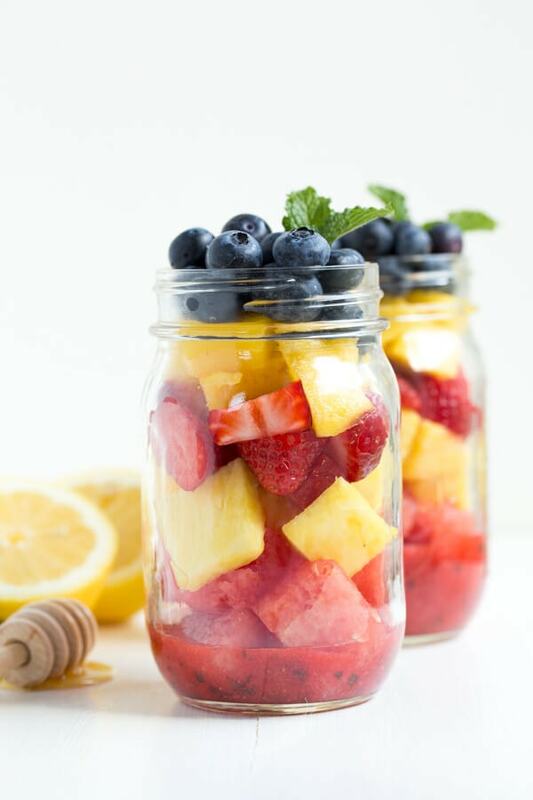 Have you ever made breakfast, lunch, dinner or dessert in a mason jar? What is your favorite recipe served in mason jars? 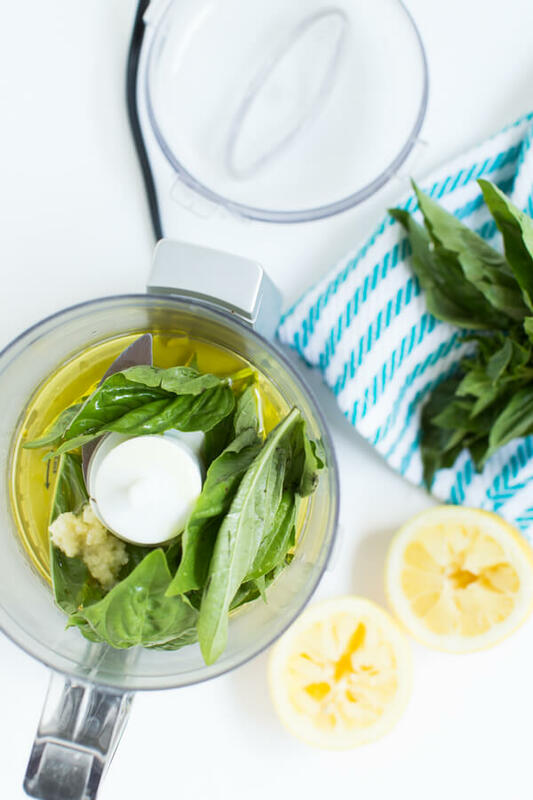 Combine the basil, olive oil, lemon juice and garlic in a food processor. Pulse until well blended; set aside. In a medium nonstick skillet over medium heat, heat the olive oil. Add the zucchini and squash and cook until tender and cooked through, about 3 to 4 minutes. Remove from heat. 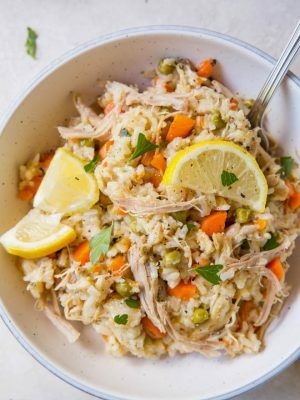 In a small bowl, combine the pasta and two tablespoons dressing. Stir to combine. Divide the dressing between four standard sized mason jars. 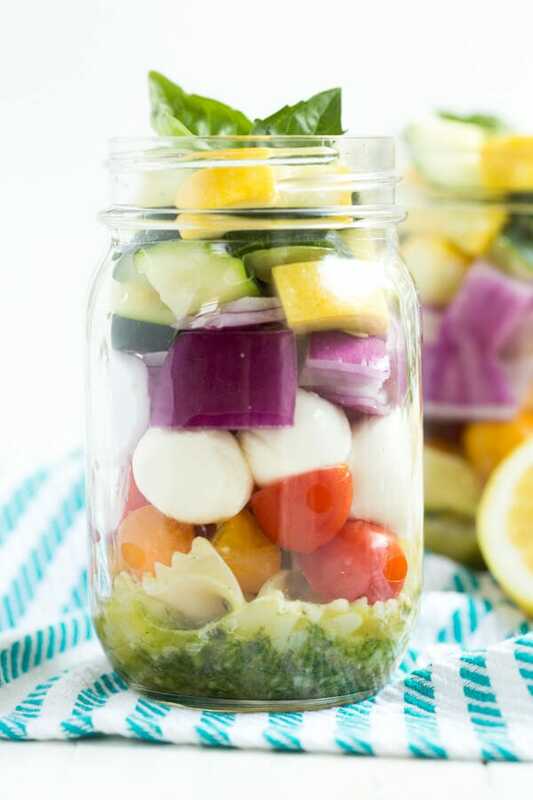 Layer the remaining ingredients in the mason jars, starting with the pasta on the bottom, tomatoes, mozzarella and onion in the middle and the cooked zucchini and summer squash mixture on top. Garnish with fresh basil, if desired. To serve, pour the contents of jar into a bowl and mix to combine. You can also seal jar and store in the refrigerator for 2 to 3 days. 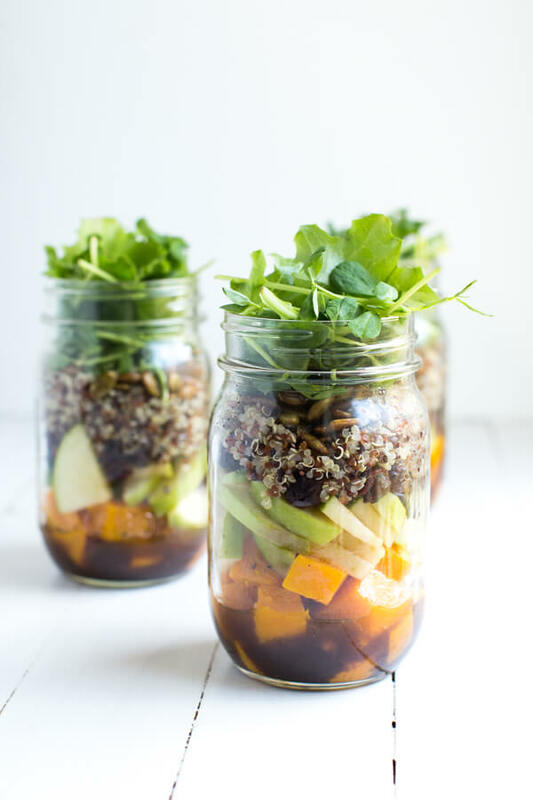 These salads look so pretty and I will love serving the salads in the jars! 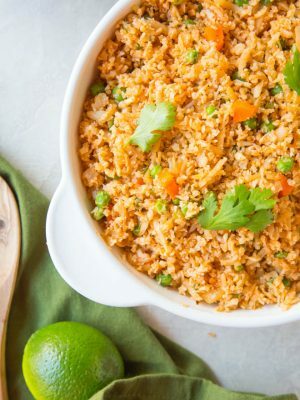 Looks like a great lunch idea! 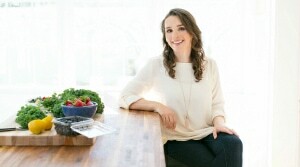 Thanks for sharing on the What's for Dinner party! 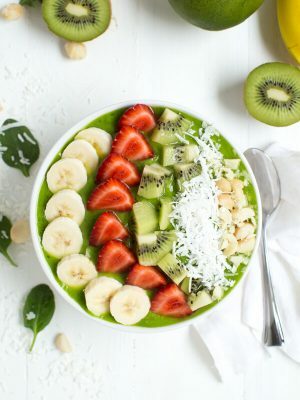 This looks so pretty and delicious! 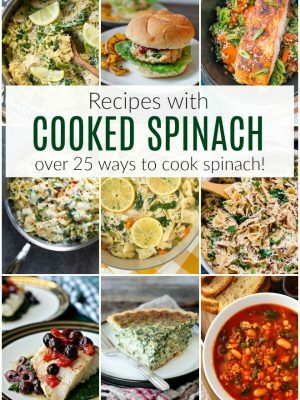 pasta salad is my favorite so I can't wait to try it out! Meals in mason jars have a special place in my heart. 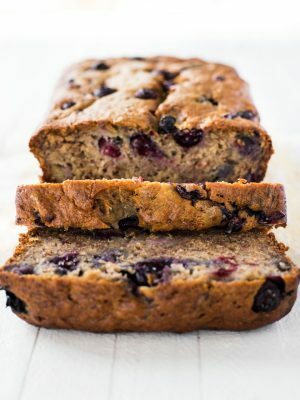 This one looks super yummy! Thanks for sharing it!Stop on by my link party and share this with everyone : )http://www.twentysomethinginthe2010s.com/peace-love-linkup-009/Hope to see you there! Love salads in a jar! 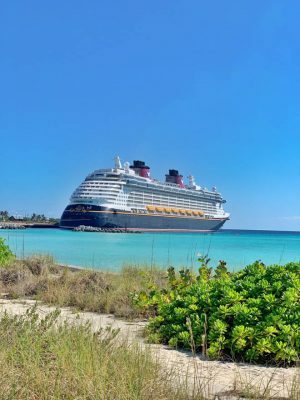 This looks beautiful, perfect for summer! This is a ridiculously beautiful salad!! And I loveee the idea of a lemon basil dressing! Loving the sound of that dressing!! And how pretty are these jars - I love all the colors of summer produce! Salad in jars are always so much fun, but your dressing! That sounds divine! 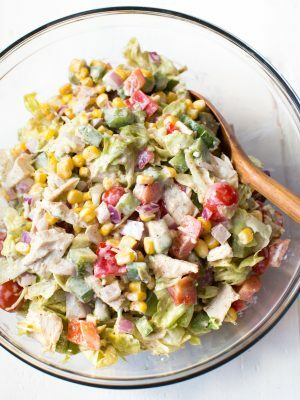 Jar salads are my favorite! Especially during the summer...so fun for picnics! 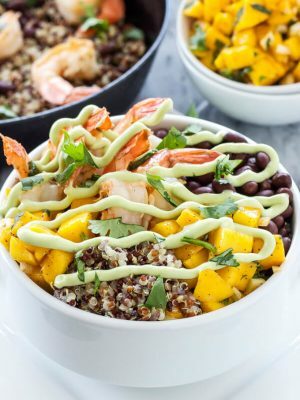 This veggie version looks so good, Ashley! I'm loving the lemon basil combo...yum! What a gorgeous salad, Ashley! 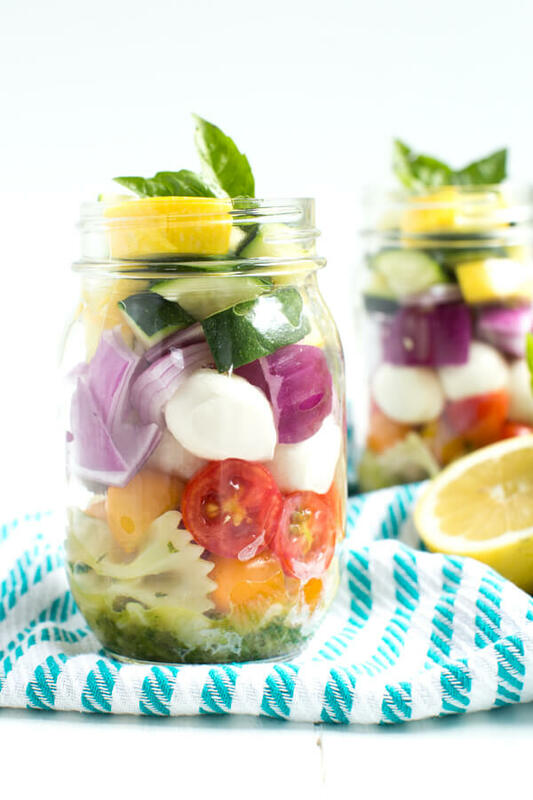 Nothing beats eating your salad in a jar especially when it's this colorful and gorgeous!